To meet these needs Steelcase and Italian design studio Odo Fioravanti came together to create Cavatina, a line of chairs that offers flexible and customizable solutions for any work environment. “We’re observing a shift in how employees consider their work environment. Instead of going to their own personal desk workers move around much more and therefore every space could be a working space and so every chair could be a working chair. 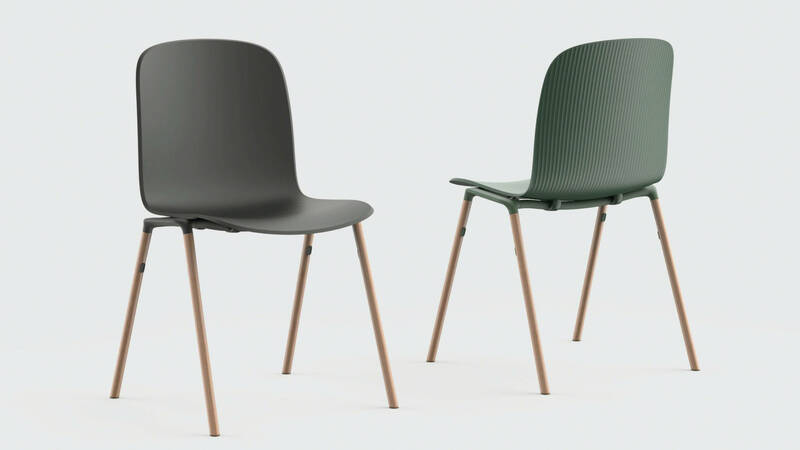 Cavatina is a chair that fits any occasion and can seamlessly from one setting to the next.”, says Alessandro Centrone, Vice President Marketing EMEA at Steelcase. Cavatina’s design has been inspired by the simple and melodious air, the part of an opera which serves as a manifesto and gives the audience the promise of performance. Designer Odo Fioravanti translated these inspirations / ideas into the chair and created a flexible and customizable tool to furnish spaces. “I wanted to create a design that offers infinite combinations of functions, typologies, colours and fabrics. This way the chair blends with the high-end aesthetic seen in the modern workplace.”, says Fioravanti. Cavatina will be available throughout EMEA (Europe, Middle East, Africa) in spring 2019 starting at 275€ (list price).